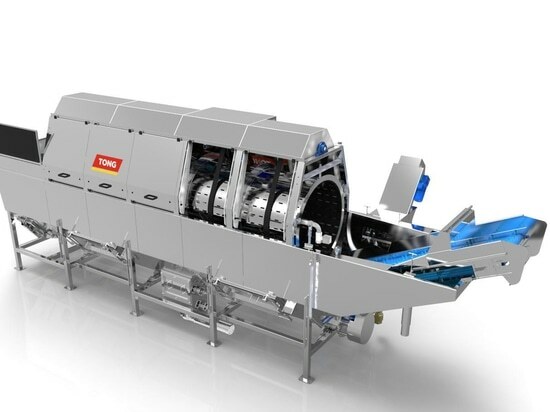 Tong Engineering has announced its next generation Barrel Washer as the company continues to advance its complete range of vegetable washing solutions. enhanced with a number of new and advanced features as standard. An all-new washer door will now bring users even greater control of crop flow from the washer, with a unique split-door design that is easily and fully adjustable via electric actuators. Like the new barrel shaft drive system, this new door design also ensures a chain and sprocket-free mechanism that is exceptionally efficient and very low maintenance. The next generation Tong barrel washer also features a new, thicker stainless steel barrel drum. As standard, all new Tong barrel washers will be fitted with the new stainless steel drum, which is uniquely perforated for the gentlest handling of crop. 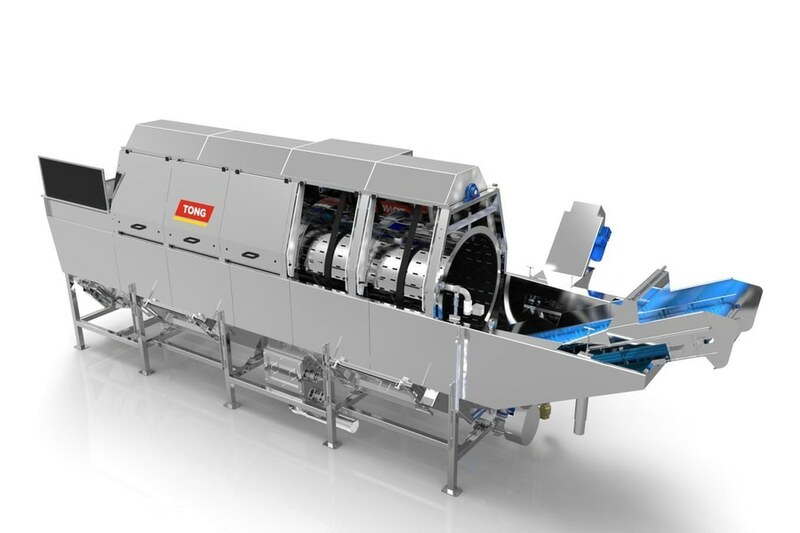 Alongside the introduction of the above features as standard, Tong’s new barrel washer will also be available to order with a number of new and advanced options to further-increase the specification of the washer to suit specific requirements. A simplified top-shaft design incorporating Cooper split bearings will now be available as an option to eliminate the need for shaft removal when changing bearings, making maintenance even easier. Other new features include the option of a new heavy-duty direct-driven auger, a newly designed floating-debris remover, and centralised greasing point; all with minimal maintenance and maximum performance in mind. Manufactured in barrel lengths ranging from 1.2m – 5m and barrel widths from 600mm – 1500mm, the Tong Barrel Washer can be specified as a stand-alone unit or integrated into a new or existing handling line. The washer is available in a wide range of specifications as standard, or can be fully customised to suit exact washing requirements to suit all throughputs, however large or small.